U.S. Ambassador to Indonesia, Scot Marciel dedicated the new Consulate General facility in Surabaya on May 4, “celebrating our deepening commitment to the comprehensive partnership between the United States and Indonesia.” Governor of East Java, Dr. H. Soekarwo; Acting Director General of America and Europe Affairs, Ministry of Foreign Affairs, Mr. M.Wahid Supriyadi; Consul General, Kristen Bauer; and Director of the Office of Design and Engineering of the Bureau of Overseas Buildings Operations (OBO), William Miner participated in the ribbon-cutting ceremony. Click here if unable to view the embedded slideshow. Occupying a six-acre site in the Citra Raya development, the new facility serves as an important platform for U.S. diplomacy in Indonesia and throughout the region and creates a secure, state-of-the-art, environmentally-sustainable workplace for approximately 200 employees. The Consulate General provides improved facilities to serve both U.S. and Indonesian citizens, such as a more comfortable consular area for visa services and American citizen services and an Information Resources Center where information and programs on the United States will be available. The compound incorporates numerous sustainable features, most notably a storm water management system designed to capture downpours and slowly discharge the water to the city so that flooding is minimized; the use of drip irrigation and recycled wastewater; and a wastewater treatment plant. Aurora, LLC of Rockville, MD constructed the new Consulate General and Sorg Architects of Washington, D.C. is the architect of record. The $64 million project generated hundreds of jobs in both the United States and Indonesia. Deborah Malac, a career member of the Senior Foreign Service, Class of Counselor, currently serves as Director of the Office of East African Affairs at the Department of State. 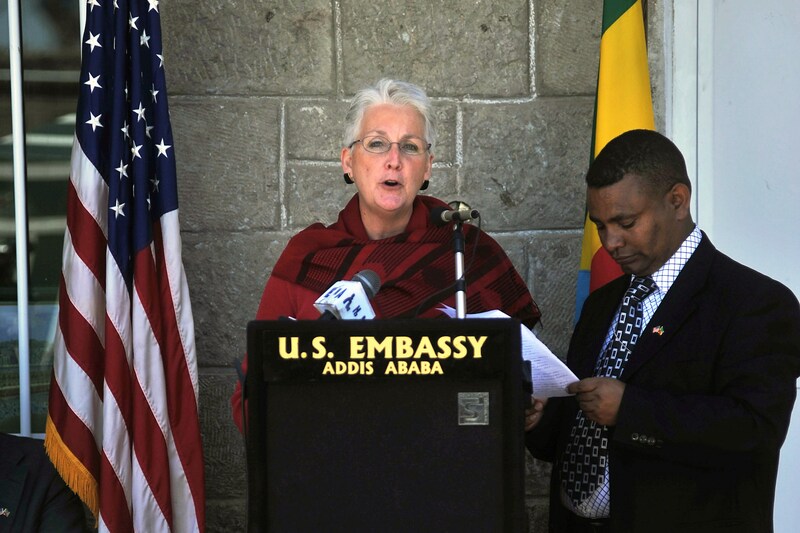 Prior to this role, she served as Deputy Chief of Mission at the U.S. Embassy in Addis Ababa. Previous posts in Washington include Deputy Director of the Office of East African Affairs and Deputy Director of the Office of Agricultural, Biotechnology, and Textiles Trade Affairs. Other overseas assignments have included service in Dakar, Senegal; Bangkok, Thailand; Pretoria, South Africa; and Yaounde, Cameroon. Ms. Malac received a B.A. from Furman University, an M.A. from the University of Virginia, and an M.S. from the National Defense University. If confirmed, Ms. Malac would assume charge of the US Embassy in Monrovia from Chargé D’Affaires a.i. Karl Albrecht. The most recent ambassador to Liberia, Linda Thomas-Greenfield was recently confirmed as Director General of the Foreign Service.